Every week on the Royal Coconut Coast there are concerts, craft fairs, special performances, farmer’s markets, interesting lectures, cultural demonstrations and delightful local events. The monthly First Saturday Art Walk is highly popular. Several major events also come to the area throughout the year, providing full weekends of festival-fun. And, there are a number of community events that always welcome visitors. Check out our ongoing list of featured events, and don’t miss going to KauaiFestivals.com for a complete list of island-wide happenings. 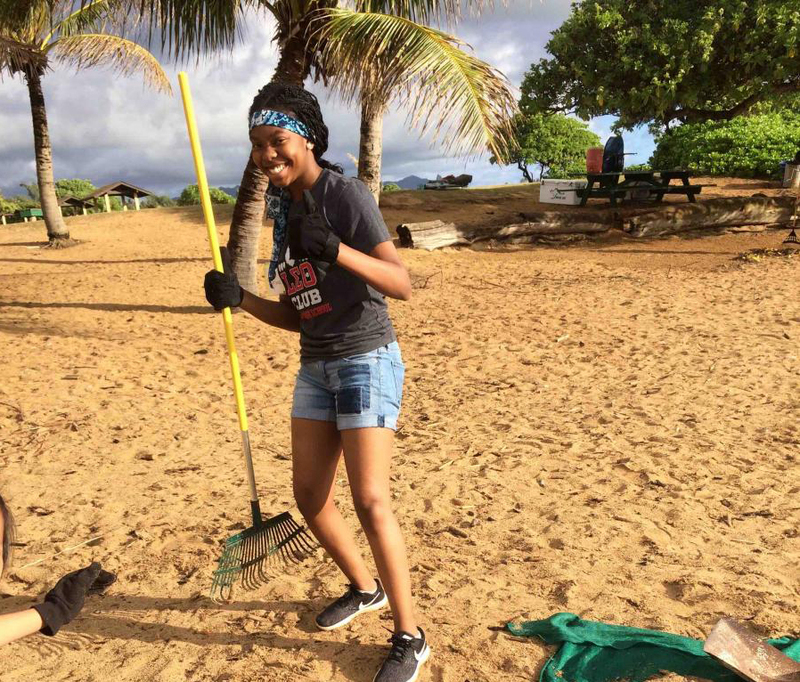 Every Saturday morning from 8:30 until 10:30, at Lydgate Beach Park, community volunteers tackle beach clean up — clearing driftwood, washed up branches and marine debris to maintain the pristine quality of this popular swimming beach, loved by locals and visitors alike. All are welcome to participate. Snacks are served at 10:30. This weekly project is organized, in part, by the Friends of Kamalani. Wear shoes that can get wet or sandy and bring a hat, gloves, sunscreen and bottled water. Go to the protected rock wall swimming area and look for voluteers wearing yellow Beach Cleanup Team tee shirts. Participants are referred to the coordinator or assigned a task. Three spectacular events are lined up on the Royal Coconut Coast in June, August and September. First up is the extravagant Taste of Hawaii at Smith’s Tropical Paradise on June 2nd, followed by the colorful Heiva I Kauai Polynesian Festival in Kapaa August 3-4 and moving on to the highly cultural Mokihana Festival, September 22-28 (with two events located in Kapaa). Taste of Hawaii provides what has become known around the islands as the “ultimate Sunday brunch”, offering delectable choices prepared by numerous chefs, an array of beverages, topped off by music and entertainment. Proceeds benefit youth and education. Heiva I Kauai is a Polynesian dance competition featuring dance halaus (dance troops or schools) from Hawaii and the Pacific. The Mokihana Festival features cultural entertainment and practices throughout the week, such as a Hawaiian Church Service, presentations by cultural specialists and several dance and singing competitions. For more information, check individual websites, linked to each event.